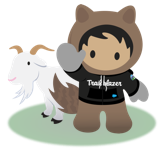 In Salesforce.com, user can undelete record deleted, need the same implemented in Chatter. Yes, this feature is absolutely needed as the system cannot recover data if its accidentally deleted by one of the moderators. It's November 2018 - first post on this thread was 4 years ago. Demand for this basic functionality is still necessary. Please take this feedback into consideration for next release. This is definitely needed and could ease the life of many users! Please implement the idea. Wow. Kind of crazy this does not exist. Yes. We need this asap. This is need or you need to find a way who deleted a chatter post. We require this functionality in Salesforce. Any timeline for this to be implemented! @Gorav -- There is a nice free app on the AppExchange that will move Chatter when you convert a Lead. Yes, it would be better if it was native, but free is the next best thing! Chatter is definitely far from being audit-worthy. On conversion, all chatter from leads does not convert (maybe you can find it via a query or something but the information disappears). And then this! I believe some regulated industries cant use chatter b/c of these types of issues, but I believe Salesforce is working on addressing them. This piece here certainly would be critical. These seems like a lazy dev work. Breaking from stadard functionality. In SFDC when you delete, everything should go to the recycle bin. Especially items where Comment and Delete are so close together. This is very necessary feature like any other important data recovery options. Why is this not implemented by platform when most of the records are soft delete by default. Unfortunately, Post delete does not even prompt for the confirmation. I think platform should have a confirmation before delete to avoid accidental delete.